Yo Gabba Gabba Nesting Dolls Only $15.99! 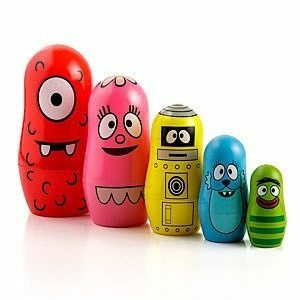 You are here: Home / Great Deals / Yo Gabba Gabba Nesting Dolls Only $15.99! Bring the Yo Gabba Gabba gang into your home this spring! The Yo Gabba Gabba Nesting Dolls for Only $15.99 includes Muno, Foofa, Plex, Toodee, and Brobee!